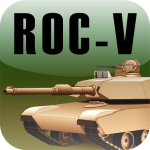 ROC-V Mobile Edition is an adaptation of the ROC-V desktop software suite for mobile devices. ROC-V trains military personnel to identify combat vehicles quickly and intuitively. 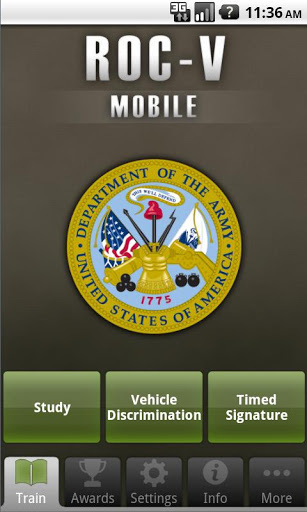 ROC-V Mobile Edition allows users to study images and identifying information of up to hundreds of vehicles then test their knowledge in two different game-like challenges. Users can also create custom sets from scratch. -Allows users to view images of vehicles from eight different aspects, learn helpful H.A.T.S/R.E.F.T. identification cues and compare two vehicles side-by-side. 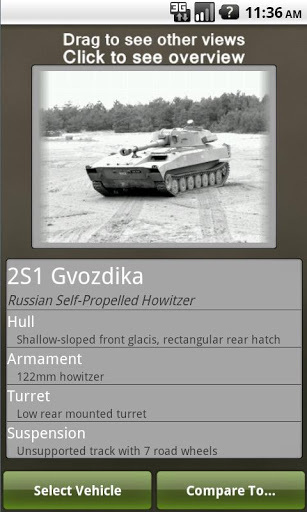 -Presents the user with two images, side-by-side, and is prompted to click on the image of the named vehicle. -Asks the user to identify a displayed vehicle through a six-alternative, timed multiple-choice test.